It strengthens citizens to demand transparency and public accountability and to engage in policy making. We closely monitor the work of the Assembly and improve the quality of laws by providing analysis and research by experts. We represent and empower victims and denouncers of corruption to be vocal and to act. Educate and empower the new voter to exercise his right to vote, to be an account-seeker and to push their priorities into governance. We promote internal dialogue in function of state consensus and inclusiveness. We mobilize volunteers to monitor the electoral process and ensure its integrity. We advocate for continued legal, administrative and systemic improvements to prevent corruption and misuse of public money. We support and prepare the woman for her candidacy, program, and mandate to reflect the voter's priorities. We network, mobilize, and enhance the capacities of the non-governmental sector to influence. Mr. Kryeziu began his civil society career in 2001, when he joined NDI’s civic forum program. Once the Civic program was concluded, Ismet in accordance with his colleagues decided on establishing a domestic NGO, today known as Kosova Democratic Institute. In 2006, Ismet was elected as KDI’s Executive Director and continues to serve as such nowadays. Ismet has extensive experience in elections, working with Kosovo Assembly, and fight against corruption, local government and gender equality. Edita is one of the founders and coordinator of programs at Kosova Democratic Institute – Transparency International Kosova. Before joining KDI, she worked for international organizations in Kosovo and overseas in democratization, civic participation, elections, advocacy and procurement. Throughout her 14 year journey in civil society, she had assisted many CSOs in Kosovo in Kosovo in strengthening their watchdog, advocacy and election monitoring capacities. Her primary roles in the organization include program design, strategic planning and fundraising. Vjollca has an extensive experience in the field of finance and administration management. Before joining KDI in 2008, Vjollca worked since March 2000 for OSCE and NGO Resource Center in Prizren. She has managed several projects that had sub-grants as key component, including those of Democracy in Action. Vjollca has knowledge on the legislation in place that regulates the finance and tax procedures in Kosovo. Joining as a Public Relations coordinator at KDI since 2016, Blerta focused on establishing organizations’ cooperation with media and the public, designing and preparations of promotion material, awareness campaigns, and social media management. She has a professional experience in journalism, working for more than five years in daily newspaper “Koha Ditore” and also being a media advisor in the Ministry of European Integration. Blerta has a Master Degree in Journalism and Public Relations. She is also engaged as a teaching assistant at the University of Prishtina, Philology Faculty, and Journalism Department. 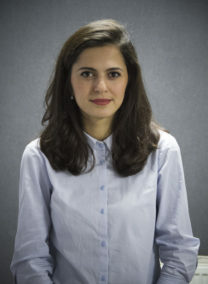 Jeta Krasniqi is project manager at the Kosovo Democratic Institute (KDI), leading the project to strengthen the Assembly’s oversight role towards Government and increase the participation of citizen in the Kosovo-Serbia dialogue process. Previously, Mrs. Krasniqi served as Political Advisor to the President of Kosovo, Atifete Jahjaga, where she was engaged in the field of foreign policy, economic development, promotion of human rights and gender equality. Mrs. Krasniqi was the Coordinator of the National Council for Survivors of Sexual Violence during the War established by the then President of Kosovo, Atifete Jahjaga. Mrs. Krasniqi has a long-standing commitment to civil society organizations in advancing the role of women in society in Kosovo and Albania. 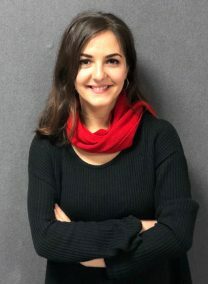 Jeta Krasniqi graduated in International Affairs at the Johns Hopkins University, School of Advanced International Studies (SAIS), and finished her undergraduate studies in International Relations at Eastern Mediterranean University in the Turkish Republic of Northern Cyprus. 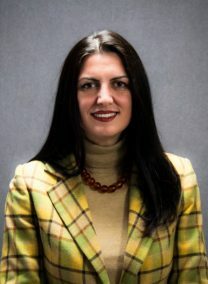 Krasniqi is a board member of the Kosovo Women’s Networking Board and the Kosovo American Educational Fund (KAEF), as well as a member from civil society in the Governmental Commission for the Verification and Recognition of Sexually Abused during the War. 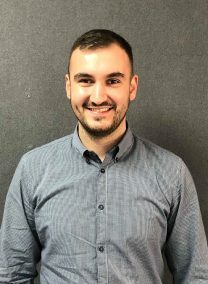 Arben Kelmendi joined Kosovo Democratic Institute (KDI) team bringing his ten-year experience from NDI working in increasing the citizen participation in political processes and raising parliamentary life. 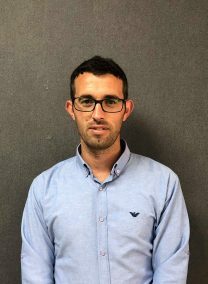 The last two years he has been part of the Transformational Leadership Program Team implemented by World Learning that aimed at generating a new cluster of leaders in Kosovo, capable of facing challenges during the Euro-Atlantic Integration process. He was also a coordinator of four university partnerships between the University of Pristina and four US universities (Dartmouth College, Arizona State University, Indiana University and University of Minnesota). He is currently working on his master thesis in Sociolinguistics at the University of Prishtina. He is married and has two children. 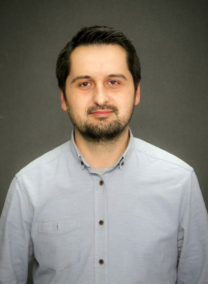 Artan Murati is Senior Researcher at KDI. He has worked in KDI / Transparency International Kosovo since February 2016. 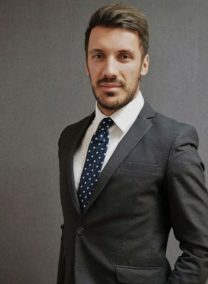 Mr. Murati has a Bachelor of Law degree from the University of Pristina and Masaryk University in the Czech Republic and a Master’s Degree in European Union Studies from the University of Salzburg, Austria. 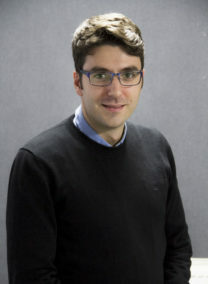 He is pursuing doctoral studies in the EU Law and Policy in Austria. In KDI, Mr. Murati’s main field of work consists in providing assistance to Parliamentary Committees through parliamentary research, and monitoring the work of the Assembly in general. Mr. Murati has a long experience in working with EU integration issues, especially in the Stabilization and Association process and aligning national laws with EU laws. His academic work has been published in various European countries. Mr. Murati has a book published in the European Parliament and the International Agreements of the EU. She is a senior advocate and project manager for transparency and accountability in public procurement. Diana holds a degree in Economy, with a major in Management and Information Systems. 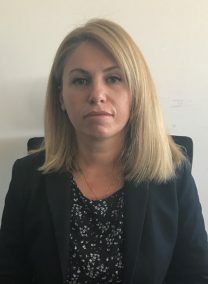 She has over fifteen years of procurement experience, of which over six years with KBR Inc., and DynCorp LLC., providing services for the US Department of Defense, and the rest in various local and international organizations and institutions in Kosovo. In 2011, she presented at the Heavy Europe 2011 conference in Rotterdam, organized by Hanson Wade, where she lectured on global market procurement and the importance of contract terms and conditions. 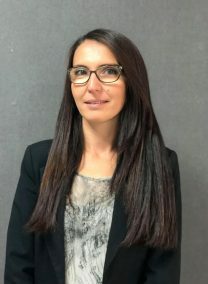 Diana has a proven experience with a high analytical approach that provides “from cradle to grave” knowledge and expertise (both government and private sector) in acquisition planning, procurement development, and contract management. In 2015, Diana joined KDI’s Transparency and Anti-Corruption Team. Since then, she has published several analytical and monitoring reports, and various public procurement studies. She has also provided capacity building services in training NGO’s and other interested parties in monitoring the public procurement in Kosovo. Diana was also a volunteer in the coalition of Democracy in Action organizations in the 2017 central and local elections where she has served in various capacities. 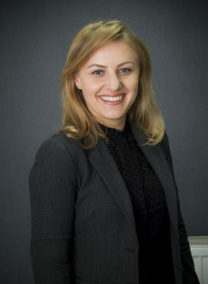 Her areas of interest are public policy analysis and advocacy with a focus on the management of public money expenditures through public procurement, increased transparency and accountability of central and local government levels, and citizen awareness in holding Institutions to account on how they spend the taxpayers money. Florent Spahija in September of 2015 has successfully finished the bar exam. 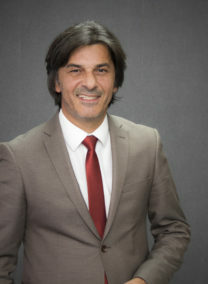 Previously he finished the bachelor degree in general law in University of Pristina, and continued the studies on a master level specified in civil law in the same institution. During his studies he started working as an intern in Judicial Center of Kosovo, also he was engaged as a trainer and judge on the Karl Popper form of debate that was organised for youngsters. For a time period of five years he has worked with nongovernmental organisation BIRN (Balkan Investigative Reporting Network) on the position of legal adviser and judiciary observer. Additionally, he continued being a legal adviser on public Notary office, providing legal notary services; he also was a legal adviser in different private companies. 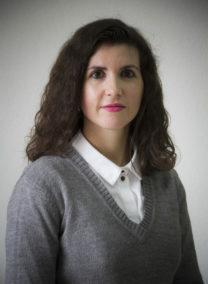 Since February of 2016 Spahija joined KDI/TIK in the position of legal adviser for the project of advocating and supporting the victims, whistleblowers and witnesses of corruption with legal advice. Moreover, Spahija served as a coordinator for long term observers and legal adviser on national and local elections for Democracy in Action. 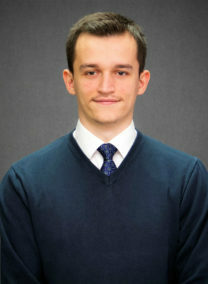 Eugen Cakolli is part of KDI team since 2016. He began working on monitoring the work of Assembly of Kosovo, within the program for Democratization and Parliamentary Practices. Previously he worked for International Foundation for Electoral Systems (IFES). Right now, Eugen is working as Project Officer on the project for empowering the first-time voters as part of the Political Accountability program. He also added valuable contribution to the Democracy in Action by holding a position as the Coordinator of the Election Observers. 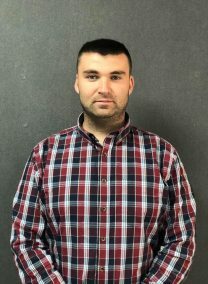 Currently Cakolli, is enrolled in University of Pristina and undertaking a Masters Studies for European Integration and Public Administration, while conducting several research papers. 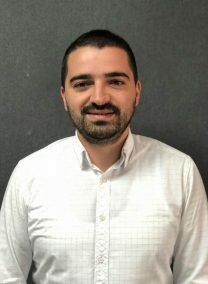 Blerim Gjoni is a lead researcher at the Kosovo Democratic Institute in the Anti Corruption Program team. Since 2012 he has been engaged in audits of various public, private and non-governmental organizations also has completed Certified Auditor’s level. During 2015 and 2016 was involved in the project Demos on audits of public procurement process for co-financed investments by local institutions and Helvetas, during this period was involved in OSCE project for the training of parliamentary committees of the Assembly of Kosovo for budget oversight. 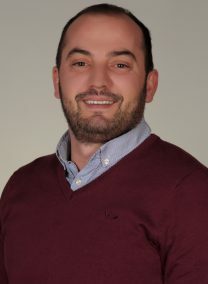 In 2018, Blerim Gjoni is engaged in KDI in the project for monitoring public procurement in the central institutions of the Republic of Kosovo. Elira Tahiri started volunteering and participating in civic society activities from an early age. 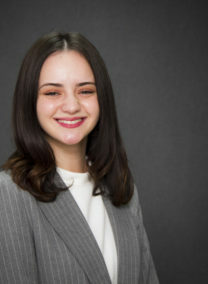 While studying law at the University of Prishina, she enrolled at different internships within a number of institutions, with focus on law enforcement. Elira joined the KDI team as legal assistant and shortly after was promoted to Advocacy Officer within the Anti Corruption Program. She is hard working and determined; her strategic abilities and determination are an asset to our team, and such is the experience and knowledge she gets within our institution. Majlinda Kurti is project coordinator of ALAC project, within the Transparency and Anti-Corruption Program. Kurti has been active in this position since 2015. She holds Master’s degree in Management and Informatics at the University of Prishtina. Prior to KDI she worked in banking and telecommunications institutions, such as ProCredit Bank and IPKO. Ms. Haxholli began her civil society career in 2012, when she joined the Kosovar Institute for Policy Research and Development (KIPRED). During period 2012-2016 she worked on projects related to public administration and European integration. 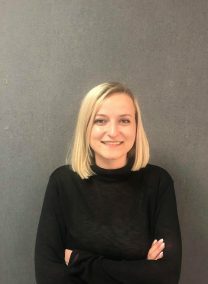 In September 2016 she joined KDI as researcher and she currently works in a project aimed at strengthening parliamentary oversight of the executive and increasing citizens’ participation in the Kosovo-Serbia dialogue. Agnesa has completed bachelor studies at the University of Prishtina in the Department of Sociology. She is currently completing master studies in the same department, while a part of her master’s studies have pursued in the University of Graz, Austria with a scholarship from Erasmus +. Before engaging in KDI, Agnesa has been engaged at the Institute for Social Studies and Humanities within the Faculty of Philosophy. 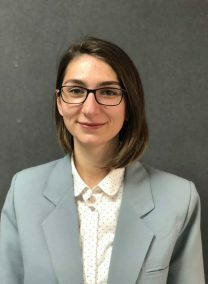 Since March 2016, Agnesa has joined the KDI team as Researcher / Monitor, in the project for monitoring the work of the Assembly of Kosovo and for monitoring the elections. 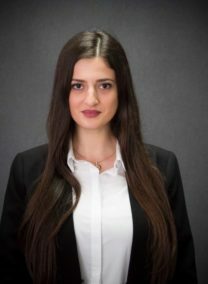 Adelina has completed her studies at Ankara University at the Faculty of Political Science in the department of International Relations. 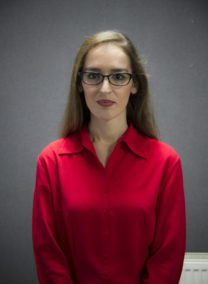 In 2015, she was admitted to the Master’s Program for Democracy and Human Rights in Southeast Europe, at the University of Sarajevo and Bologna . Adelina is a cofounder of the informal group of women and girls of Prizren Municipality – FEMaktiv. She is currently PhD candidate in the department of international relations at Ankara University. 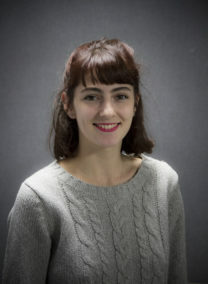 Adelina has joined the KDI team as Researcher, in the project to support parliamentary research. 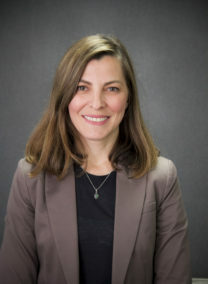 Liridona Behrami is a graduate economist in Management and Informatics. She has been a civil society activist from 2008 to 2012 with the focus on protecting children’s rights and well-being, to later move to the commercial sector, from which she brings extensive knowledge in the areas of administration and finance, as well as public procurement from a commercial perspective. Recently she joined KDI as a researcher in the field of public procurement within the framework of the program for transparency and anti-corruption. Liridona has also been volunteered in the coalition of Democracy in Action organizations in the 2017 central and local elections. 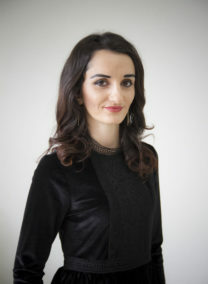 Fjolla Uka is a researcher in Kosova Democratic Institute. She become part of KDI in 2015. She started by monitoring of the Assembly of Kosovo, to join later Anti-Corruption Program. Before KDI, she was part of National Democratic Institute, as part of the Assembly Strengthening Program, Fjolla was hired as an intern and later as a Legislative Assistant to support the work of the Eiectoral Reform Committee. She continues Master’s studies in Law Faculty (field-Financal Law), in University of Prishtina. I have been Involved in civil society activities in Kosovo since 2001. Initially, by doing volunteer work in the “Save the Children” organization, namely by conducting numerous activities in promoting the rights of children. Offering specific support to abused and neglected children in the post-conflict period in Kosovo was among the reasons that drove and motivated my involvement in volunteer work, with the goal of improving children situation in Kosovo for the better. Following my volunteer work in the Save the Children organization, I remained committed to my civil engagement in Kosovo, by working with different youth organization, in various profiles, such as: assistance, charity, solidarity, and citizens’ participation. I remain committed to civil society work, whereby as of 2008 I am part of the regular staff of the Kosovo Democratic Institute (KDI), in the position of Administrative and Finance Assistant. Ms. Zeka is one of the founders of Kosova Democratic Institute, KDI, Board Member of the Organization and since 2014 Board Chair of KDI. She worked in National Democratic Institute in the program Civic Forum in years 2000- 2005 where she contributed in increasing citizen participation in decision making processes, grassroots organizing and election monitoring. She has served twice as international observer of the Ukraine Parliamentarian Election in 2004 part of ENEMO coalition. Violeta has been working more than 10 years now in Asseco SEE, to start in 2007 in Pronet IT CET Sh.p.k which was acquired by Asseco SEE in 2009. She works as Consultant accrediting to her extensive experience in Banking Sector, with focus on managing implementation of numerous projects such as implementation of Digital Channels, Core Banking etc. in Banks in Kosova and Albania. She is certified as Cisco Certified Network Associate, Microsoft Certified Technology Specialist (MCST) and has attended classes on AUK CAPM & PMP Certification and Associates for Finance and Accounting Services (AFAS). Ms. Duli is leading the Regional Development Agency (RDA) North, since October 2014. Duli has 25 years of experience in the area of humanitarian relief and reconstruction work, development and as a human rights activist. Rreze holds a Master’s degree in Engineering and has completed training in Strategic Management (Harvard University, John F. Kennedy School of Government); Executive Education; and Inter-municipal cooperation projects (Council of Europe). She worked for the United Nation Development Programme UNDP; UNICEF; Mercy Corps International; and was the Executive Director of the Advocacy and Training Resource Centre, 2005 – 2008). Rreze is a founding member of the Kosovo Stability Initiative, for which she served as the first Executive Director in 2004. 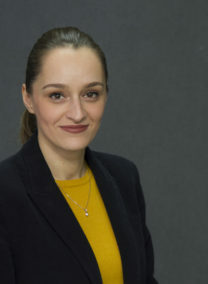 She currently also serves as the Center for Social Group Development’s (CSGD) board’s president, which deals with LGBTI rights and board member of Kosovo Democratic Institute (KDI). 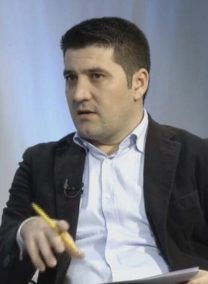 Adrian Çollaku is editor-in-chief of online newspaper Blic since 2014. Earlier he worked as deputy editor and responsible editor in the daily newspaper Gazeta Zeri. 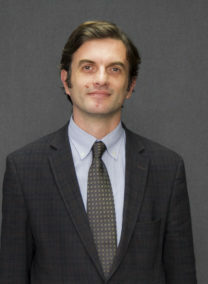 He holds PhD in Contemporary History, while lectures in several colleges in Kosovo, in the department of Political Science and Public Administration. He holds a Masters degree in Political Science and Public Administration, while he has also completed various trainings dealing with European integration and the field of human rights and freedoms.